John Eccles didn't have to take that extra base, tagging up on a lazily caught pop foul, but he took it, his coach Augie Garrido recalled later to The Los Angeles Times. It didn't matter to Eccles that his Cal State Fullerton team was down 13-4. "That's the sort of play that has earned him the respect of this team," Garrido told The Times of Eccles in April 1986. "He's got real credibility with the other players and has become an outstanding team leader because he leads by example. He's one of the classiest people to ever put on a Fullerton baseball uniform." Eccles went from Fullerton to the pros, but he couldn't go from Fullerton to the majors. His pro career lasted just five seasons, making AAA, but never getting higher. Eccles' pro career began in 1986, taken by the Twins in the eighth round, out of Fullerton. 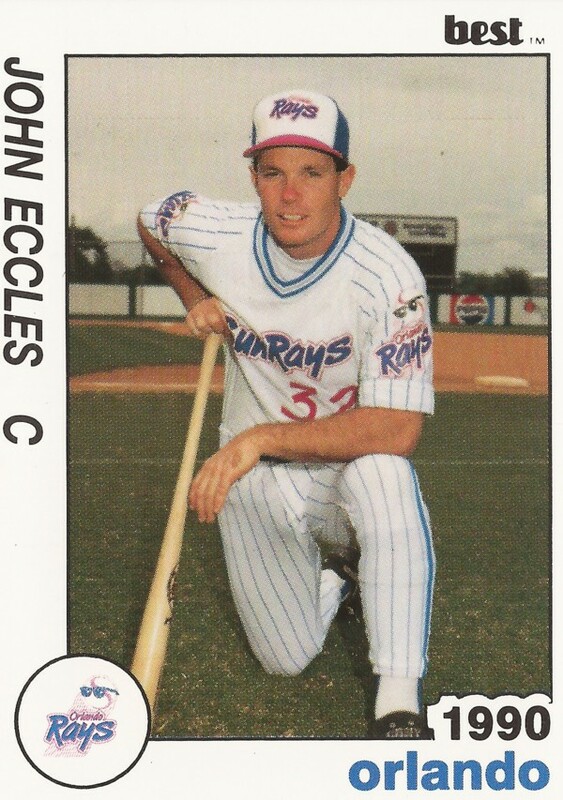 With the Twins, Eccles started at single-A Visalia, hitting .263 over 60 games. He returned to Visalia for 1987, but also got a 17-game look at AA Orlando. Between Visalia and Orlando that year, Eccles hit 21 home runs. Extended time at Orlando would have to wait until 1989. Eccles spent a third season at Visalia for 1988, hitting .241, with 13 home runs. 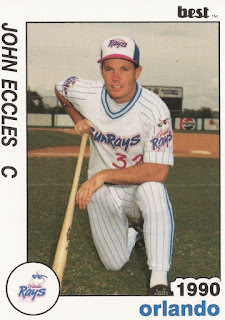 Back at Orlando for 1989, Eccles started the year with two-home-runs game, leading Orlando to a 3-2 win. "Eccles was simply outstanding," Orlando manager Ron Gardenhire told The Orlando Sentinel after that game. "He picked us up big time." Eccles also got his promotion to AAA Portland. In 29 games at Portland, though, Eccles hit just .150. Eccles returned to Orlando for 1990. In 62 games back at Orlando for 1990, Eccles hit just .185. It was his final season as a pro.